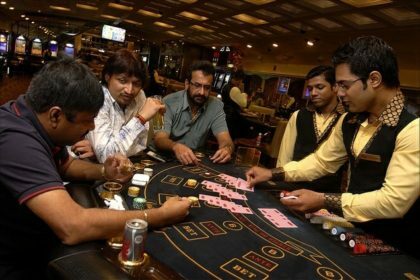 A recent legal ruling from the Bombay High Court in India’s state of Mahrashtra has declared poker a game of pure chance, with no skill involved, thus making poker an illegal activity under the Maharashtra Prevention of Gambling Act. The ruling was issued by a two-justice division bench of the Bombay High Court, which is in essence the highest appellate court in Maharashtra. The case involved a raid on a private poker game being hosted in the Mumbai suburb of Goregaon by Nasil Patel, who also, somewhat coincidentally, happens to be the operations manager on one of India’s relatively few online-poker sites, The Spartan Poker. Whether Patel’s role with The Spartan Poker was a contributing factor in the raid on Patel’s apartment in 2016 remains unclear from the Indian law blogs covering the case. Acting on a tip, Goregaon police raided Patel’s apartment while a poker game was underway, catching eight players at two tables playing small-stakes poker, literally for coins. Patel admitted to hosting and banking the private, invite-only game, yet the police obtained enough information from Patel and the other players to arrest at least 20 others as well. A total of 29 people were charged in the case, though all but Patel, the game’s operator, were released on bond and appear to have been punished with no more than a nominal fine in the case. Patel, though, faced the most serious charges as the operator of what the Goregaon authorities termed a “gambling den”. As part of his defense, he and his advocate, Ram Mani Upadhyay, argued that poker’s skill elements had already been upheld in other jurisdictions in India and that poker wasn’t among the banned gambling actvities in Maharashtra. That’s where the case turned sideways, with the two division-bench justices, RM Sawant and Sarang Kotwal, denying Patel’s defense claims. However, the ruling issued by Sawant and Kotwal veers into the ludicrous, displaying the utter ignorance of the two justices regarding the nature of poker. Later, they offered this: “We have perused the description of the game; we find that it is not a game of skill but of pure chance. Prima facie we find that a case under the gambling act has been made out.” Whether one wants to call that willful ignorance or bureaucratic laziness, the lack of effort by the two justices to dig beyond some shallow and incorrect explanation of poker’s mechanics has far-reaching implications. About a decade ago, a popular yet very simple Indian bluffing game called teenpatti underwent an online renaissance that suggested to some people that poker might have a future there. The two otherwise fact-devoid justices may have simply decided that poker was about bluffing, equated that to teenpatti, decided that poker’s showdown element was all the game had to offer, and thus traipsed down the boulevard of the ignorant. The dismissal of Patel’s defense motion nullifed his “interim relief,” the stay of an earlier ruling that let his argument’s on poker’s legality be heard. It also left the efforts of the Goregaon police and prosecution in place, and that’s the larger issue here. 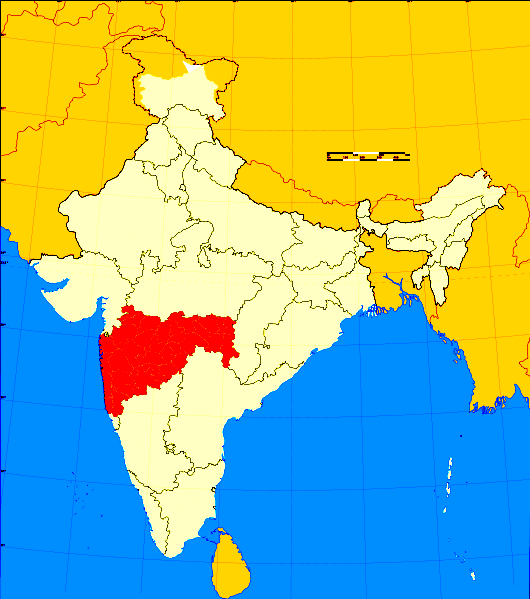 As the first legal ruling in Maharashtra State on poker’s legality, it casts a precedent that affects all of the state’s 115 million (or thereabouts) residents in a negative way. As with the United States, Germany, and several other jurisdictions around the globe, gambling activities are most often regulated at the state level. Here, it likely means that it’s unwise to play poker in Maharashtra, just as it’s every bit as unwise to host a game or offer real-money online poker services to that state’s residences. Patel’s The Spartan Poker, which has been around since 2015, is one of a handful of such India-targeting online sites. Adda52.com and PokerBaazi have been around for a while as well, and at least three other India-specializing sites – PokaBunga, Khelo365, and MPN India – also exist. Most of the major global operators, however, have long allowed players to participate. There’s been recent news on that front as well. Just a couple of weeks back, PokerStars announced that it would launch PokerStars India, a firewalled, single-nation site, while removing India’s Stars players from its global dot-com network. That launch is still a go, and it’s scheduled for April 17th, but there’s a good chance that between now and then. Stars will choose to exclude Maharastra players from the India-facing site. A similar decision has to be made regarding another state in India, Gujarat, where similar anti-poker rulings have been issued in recent years. That issue affects all online sites accepting traffic from India, though, whether the site is India-firewalled or not. The Bombay High Court ruling in Patel’s case is almost the end of the story, but not quite. There is still the slight chance that Patel and his defense advocate could attempt an appeal to India’s Supreme Court. The chances of success are slim, yet given the massive population of India, at about 1.3 billion people, such a development would be worth watching. It might also be worth it for companies considering online poker in India to help fund Patel’s ongoing defense efforts, if such efforts come to be.